CY7C4013A DataSheet Cypress Cy7C4013A USB High Speed Chip Data Sheet. Relates to Delcom 802x40 products. CY7C637xx DataSheet Cypress CY7C637xx USB Low Speed Chip. Relates to Delcom 802x70 & 902x70 products. CYC63000 Datasheet Cypress USB LS CYC63000 Data Sheet. Relates to Delcom 802x00 USB LS IO Chips. 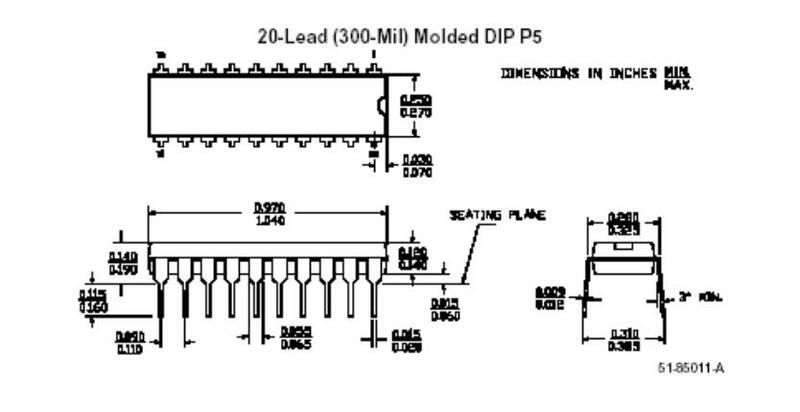 DIP 20 Package DIP 20 300 mill Package Diagram. Foot Switch Manual Foot Switch Supplemental Manual. PB Switch Box Enclosure Metal Drawing PB Switch Box Enclosure Metal Drawing. USB Hand Key Button Manual. USB hand key button manual and setup guide. USB LS Min Parts USB LS IO Chip Minimum Parts Schematic for PN: 802x00. USBIO Demo Brd Schematic Rev C. USB IO Demo Board Schematic Rev C.
USBIODS G1 Datasheet USBIODS G1 Manual/Datasheet.